The 10-year long run finally reached the end. On January 27, 2013, Dongfeng Motor Group Co., Ltd. and Volvo Group formally signed a coalition with capital as the link. Zhu Fushou, executive director and president of Dongfeng Group, said that the newly formed Dongfeng Commercial Vehicles joint venture's products not only cover medium-, heavy-duty trucks, passenger cars and special vehicles, but also cover core components such as engines and transmissions . Industry insiders believe that this will impact Dongfengâ€™s existing parts and components supporting system and even domestic parts and components supporting companies. Dongfeng and heavy trucks are generally fitted with Dongfeng Cummins or Dongfeng Renault dCi series engines. In comparison, Dongfeng Cummins has a larger number of engines and is the main engine of Dongfeng medium and heavy trucks. According to Yang Zaijun, secretary general of the Commercial Vehicles Division of the Association, after the establishment of the joint venture company, it will inevitably draw lessons from the joint venture between Sinotruk and Volvo. In that year, the heavy truck Volvo will jointly produce Huawo trucks. In the first year of production, it will only sell 200 vehicles and the company will suffer serious losses. The reason for this was the fuse of the later joint venture. The reason for this was that Huawan Trucks basically adopted the CKD production method. The core components such as engines and transmissions were imported and assembled, so the prices remained high and they failed to win market recognition. After the Dongfeng Volvo joint venture, in order to reduce the price of trucks, two countermeasures can be taken on the engine: First, Volvo abandons its vertical supporting model in Europe and implements local procurement; Second, it co-operates with Dongfeng to produce engines to achieve localized engine production. In fact, these two measures will surely be adopted. According to Dongfeng Limited internal sources, the Dongfeng Volvo JV will establish an engine plant and transmission plant in Shiyan after the establishment of the Dongfeng Volvo joint venture. This is a sure thing. Yang Zaijun also revealed to reporters that the joint venture company may also produce other components such as axles, but the specific circumstances are unknown. However, the engine produced by the Dongfeng Volvo JV company is likely to be the National V or even the National VI engine, because the joint venture factory estimated that it will not be able to launch the product after 2 to 3 years. On July 1 of this year, the National IV emission standard for heavy duty diesel engines must be formally implemented. In view of the fact that the problem plaguing the upgrading of oil products has been solved, the implementation date of the National IV standard will certainly not be postponed again. Then, by 2015, the possibility of a renewed upgrade of emission standards will be extremely high. Yang Zaifu believes that due to the structural differences between the National IV and the National V engines, the first batch of products of the Dongfeng Volvo Engine Factory after two years is unlikely to be the National IV engine, and it is more likely to be the National V engine. Since the joint venture engine cannot enter the component supporting system quickly, and the imported assembly is detrimental to the control cost, the Dongfeng Cummins and Dongfeng Renault dCi engines will still have a place to use, especially the Dongfeng Cummins 13-elevation pressure common-rail engine fitted with a joint-venture vehicle. More appropriate. Even if the joint venture engine enters the supporting system two years later, the original Dongfeng engine can also be used as the main power system of the National IV vehicle. The transmission is similar to the engine. Dongfengzhongzhong and heavy trucks have extremely diverse transmission sources, and Datong gear once enjoyed a larger share. In terms of performance, the large-toothed transmission is slightly weaker than the Fast and FAW Eaton. The latter two double countershaft transmissions can improve the performance of the entire vehicle, including the bearing capacity. Therefore, the Dongfeng medium-duty truck is heavy in the transmission. It has been weaker than FAW Liberation and Shaanxi Auto. As a result, more and more Dongfeng Tianlong began to install Fast transmissions, and ZF transmissions began to enter the supporting system. After the joint venture transmission plant is put into operation, this problem will be solved. However, before the start of production, it is estimated that more Fast Transmissions will be equipped with Dongfeng medium and heavy trucks. Dongfeng Cummins had once supplied Dongfeng Commercial Vehicles exclusively, and then provided other companies with sufficient production capacity. However, the proportion was not large. Therefore, the operating status of Dongfeng Cummins has always been tied with the performance of Dongfeng Middle and Heavy Trucks. According to the 2012 financial report, the net profit of Dongfeng Motor's shareholder of the listed company declined sharply. The sales volume of Dongfeng Cummins Engine drastically decreased by 28%, and the investment income decreased by 30%. Yang Zaiqi said that if the Dongfeng Volvo joint venture engine plant is put into operation, the first impact will be Dongfeng Cummins, which may inevitably lead to an internal integration. If the price of the engine is reasonable, the output is large, and the performance is better, it will also impact other engine companies, especially professional engine supporting enterprises. Fast status will become even more rampant. Fast is the largest heavy-duty transmission supplier in the country and has monopolized the supply of Steyr platform drive systems. However, in recent years, FAW Jiefang, China National Heavy Duty Truck, Hualing Xingma and other companies have gradually produced heavy-duty trucks. Dongfeng medium and heavy trucks are increasingly equipped with Fast transmissions in recent years. However, after the Dongfeng Volvo transmission plant is put into operation, it will Stop this trend. This will add to the sense of crisis of Fast Holding, the controlling group of Weichai Group. To prevent the market from shrinking, Weichai will extend its reach further into the vehicle sector. However, Yang Zaiyu said that it is not necessary to overestimate the strength of the impact, because whether the Dongfeng Volvo joint venture production of engines and transmissions to adapt to the Chinese market has yet to be tested. In Yang Zaiyu's view, although Volvo's commercial vehicle engine is comparable to the Volkswagen Commercial Vehicles Alliance and Mercedes-Benz engines, the Swedes from Northern Europe are more conservative, accustomed to behave, and do not know how to adapt. Their products want to adapt quickly to the Chinese market. Difficulty. "The Volvo engine can best help Dongfeng in the field of high-power engines and clean engines. It is hard to say in other areas," Yang Zaiyu said. 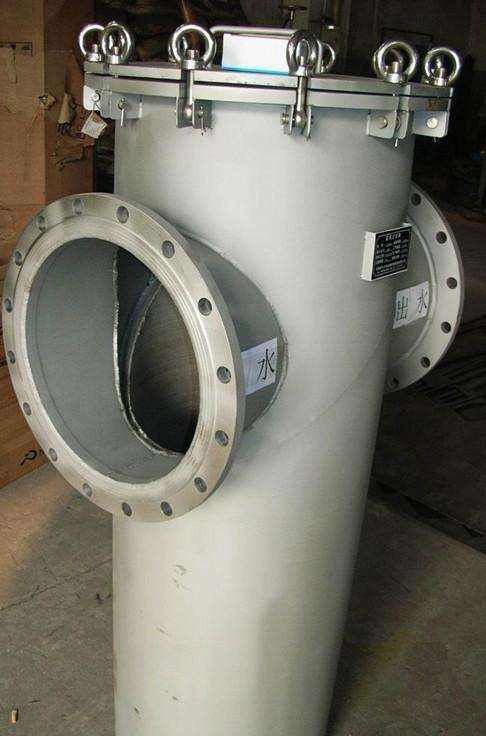 The basket filter consists mainly of the receiver, the supervisor, the filter basket, the flange cover and the fastener. 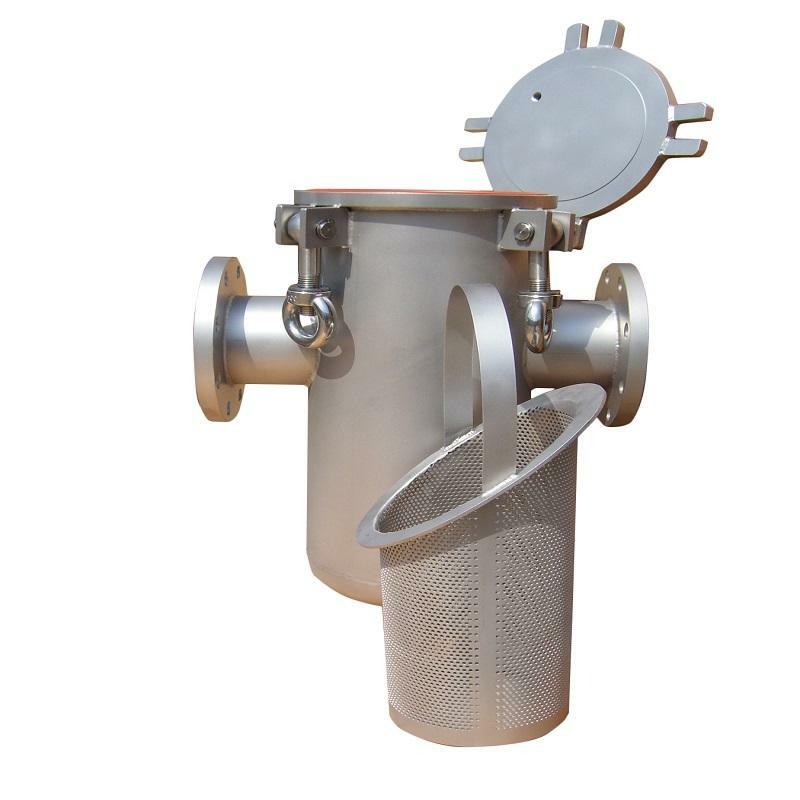 When the fluid enters the basket through the supervisor, the solid impurity particles are blocked in the filter basket, and the clean fluid is discharged by the filter outlet through the filter basket. When cleaning is needed, unscrew the bottom of the supervisor, remove the fluid, remove the flange cover, and remove the filter basket. After cleaning can be reloaded, therefore, the use of maintenance is extremely convenient. 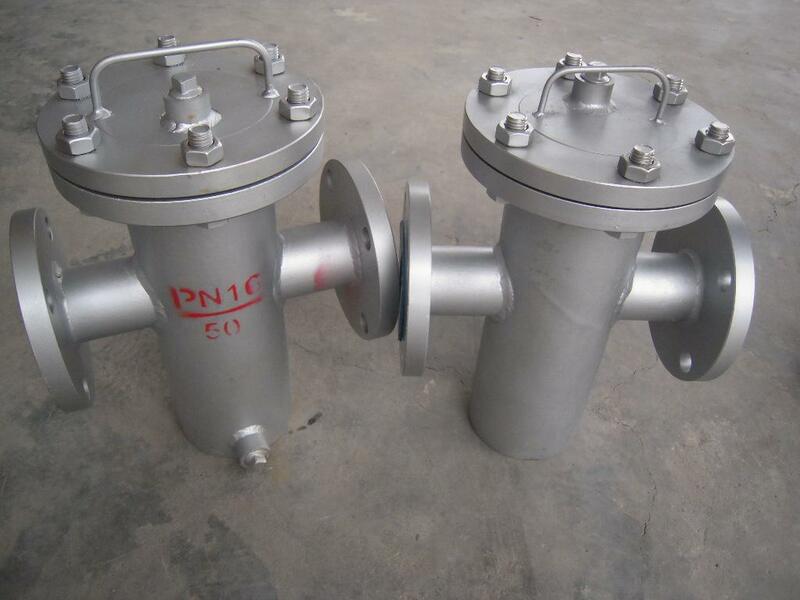 The filter is an indispensable pipe accessory in industrial production, which can filter the solid impurity in the fluid, ensure the pipeline equipment system to run normally, make the fluid more pure and obtain the ideal industrial product. After using for a period of time, open the upper cover and take out the basket-like filter, which can be restored as new once it is washed. 1. Domestic water supply, production process feed water filtration. 2. Ultrafiltration, reverse osmosis, softening, ion exchange pretreatment. 3. Sea water purification; factory sea water and fresh water culture water filtration. 4. Oil field backwater filtration. 6. Reuse of reclaimed water, advanced treatment and filtration of wastewater. 7. 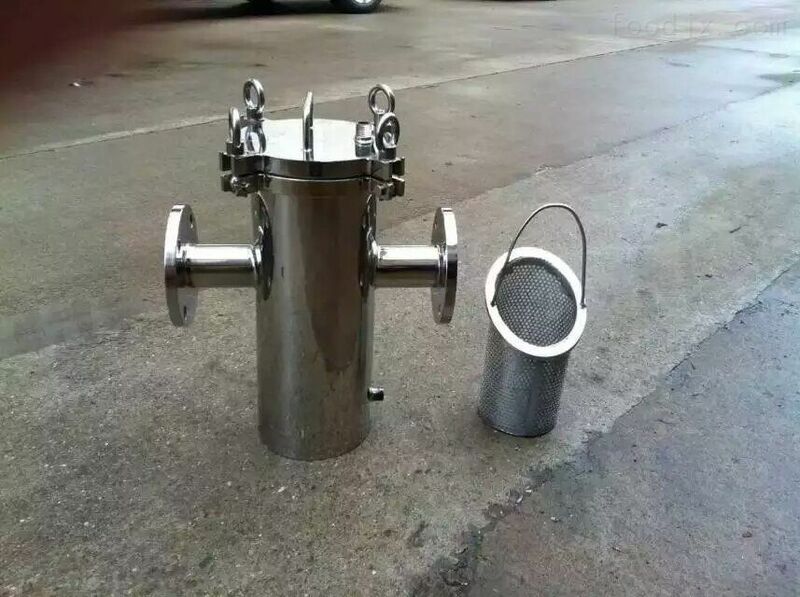 Steel, petroleum, chemical, paper, automobile, food, metallurgy and other industries circulating water filtration.